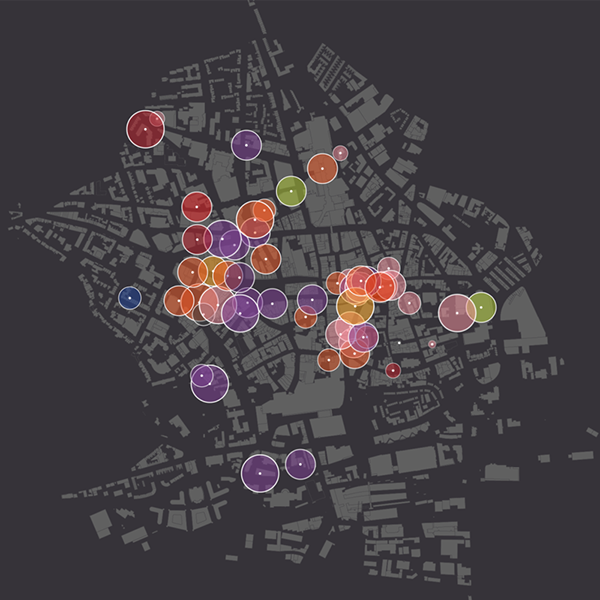 This animated map illustrates when and where nighttime venues are at their busiest on a Friday and Saturday night. Created using data collected straight from the venue's themselves. Business owners can see how the public move around the bustling city over the weekend and, with this insight, adapt their offers and practices to suit their patrons. Commissioned by Nottingham City as part of a study carried out by Feria Urbanism and utilises survey results directly from the venues themselves.